Receiving a New Hampshire commercial driver’s license (CDL) allows one to have a career in truck driving within the state, as well as other countries such as Canada if one has the necessary qualifications. 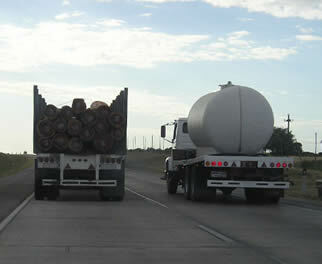 According to the Bureau of Labor Statistics, the average salary of truck drivers in this state is around $38,990. When considering the average salary, you must remember that the average will also vary depending on the type of industry you are working. Becoming a commercial truck driver in New Hampshire does not require a 2 or 4 year degree. The most important thing you need to start working in this industry is a CDL. Obtaining a CDL can only take a few months and enrolling in a CDL training course or program helps ensure that you get your CDL on time. Studying the New Hampshire CDL Manual will also help you better prepare for the knowledge test. This manual can be acquired by visiting your nearest DMV office. The manual contains important information regarding truck driving as well as the areas which applicants will be tested on. If you pass the general knowledge exam, the state will provide you with a temporary learner’s permit. This permit will allow you to drive a truck within the state while under the supervision of a licensed driver. Getting this permit will help applicants gain driving experience before taking the road skills test. The skills test consists of a typical pre-trip inspection, a fundamental vehicle control test, and an on-the-road driving exam. Applicants must be able to pass all three parts of the skills test to receive their CDL. Failing in one area of the exam means starting again from the beginning. Do you know of a CDL school that belongs on this directory list? If so you can submit the name of the facility, its address and phone number for inclusion through our contact form located here. A New Hampshire commercial driver’s license allows you to have a career in truck driving within the state and also to other countries such as Canada if you have the necessary qualifications. It is important to take note that there are now several changes which have been made with regards to acquiring a CDL with the increase of security and safety measures that has been put in place due to the recent threats to national security. There now stricter qualifications which have been enacted especially in the area of hazardous materials endorsements. In New Hampshire, commercial driver’s licenses are issued by the Department of Motor Vehicles whose office is open from 8 AM until 3 PM. If you wish to apply for the said license, you need to visit their office within these hours. Some of the documents which are required for a CDL is a current driver’s license, a filled out application form, medical and visual test, a DOT medical certification, a background check, and a written and road test. An applicant would need to pass all of these tests and requirements in order to get a license. Since the process involves a written exam, it is important for you to have a working knowledge of what truck driving is like. You will be able to understand this better if you have studied the New Hampshire CDL Manual which is available online or at the DMV office. The manual is very helpful especially in understanding about truck parts and components as well as key areas in which you will be tested on during the actual driving exam. You should have read this manual even before you apply for the CDL permit and take the written test. Another important requirement is that the applicant’s driver’s license should not have been suspended or revoked by any reason for the last 10 years. Having a clean driving record will greatly help you in the speeding up of the process. If you have any conviction for serious traffic violations for the time prescribed, it would be better if you can delay your application or to seek advice from the DMV with regards to such matters. It is therefore important to keep a clean record if you intend to make driving a source of your income. 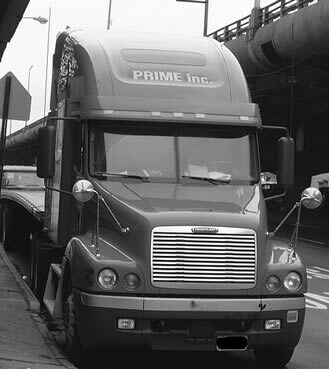 After you have submitted these requirements and have undergone the needed visual and medical tests, you will be provided with a learner’s permit where you can be allowed to handle the type of truck that you will be driving provided you are accommodated by someone who has a CDL which is appropriate for the vehicle. When you feel that you are ready to take the actual road test, you need to visit the DMV office and secure a schedule. The road test involves pre-trip inspection, basic driving skills such as backing up maneuvering, and driving in actual traffic. You will have to pass all of the said tests successfully in order to secure a New Hampshire commercial driver’s license. Visit this page for further information about truck driving schools in NH. You can also visit the state’s DMV to learn more about the latest CDL requirements.